My sweet little lady turned 4 on the 4th, her golden birthday! 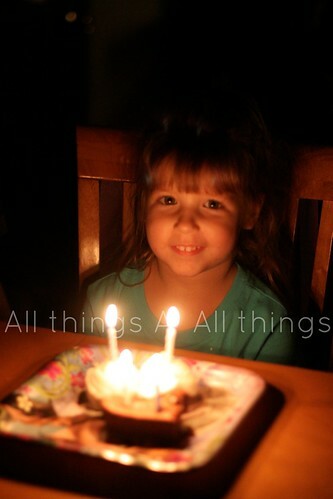 We celebrated this week with all things Frozen, Allyson's current favorite. 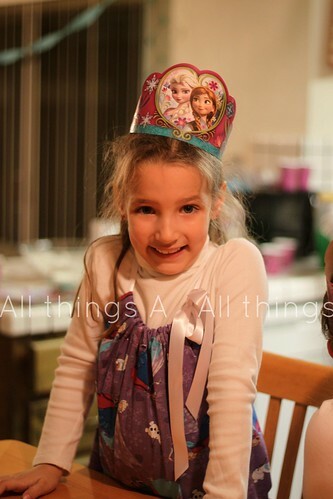 It came with some difficulties, but Aubrey enjoyed helping me with Allyson's Frozen party. It can be hard to watch your sister get the party that you want and the toys that you would like. After a couple talks, she was able to be happy for her sister and little sister was pretty excited to share her new goodies with big sis. 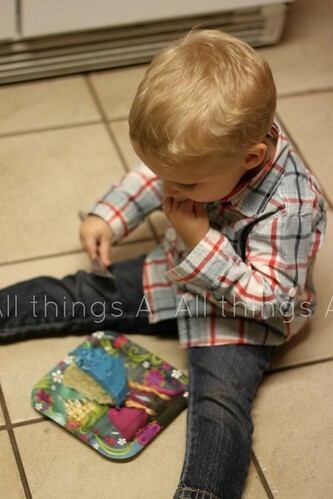 What better place to eat cake and your sister's birthday party than in the middle of the kitchen floor.